President Emmerson Mnangagwa's ruling Zanu-PF is looking to revive its fallen business empire, crippled by gross mismanagement and corruption. In an exclusive interview with the Daily News, which will be published in full in our sister Sunday paper, the ruling party's administration secretary Obert Mpofu, expressed confidence that the business empire could be restructured successfully and emerge from bankruptcy. He said there was a very sound, fundamental base to restructure around. Analysts, however, said chances are slim the empire can earn enough in this harsh economic environment to dig out from its massive debts. Thousands of workers have lost their jobs and those forced into retirement have seen their pension become virtually worthless. Previous attempts to revive the empire have collapsed after cash advanced to the companies by Manharlal Chiunilal and Jayant Chiunilal Joshi to shore up the stuttering behemoth was allegedly abused. M&S Syndicate (Pvt) Ltd was the holding company for Zanu-PF's public and private companies including Treger Holdings, Mike Appel, Catercraft, Fibrolite, which closed in December 2004 as well as Zidlee, which failed to take over Delta in 1989. Zanu-PF also ran Southern African Re-Insurance Company (Sare), Zidco Holdings and First Bank, whose Democratic Republic of Congo investment also collapsed. It also had interests in National Blankets, Woolworths and Ottawa Building, which were disposed of under unclear circumstances, as well as its printing arm Jongwe Printing & Publishing Company, as well as Jongwe and Nyadzonya farms. A Zanu-PF report of the Committee on Party Investments has revealed the empire is in a mess, with most of the companies severely mismanaged and on the brink of bankruptcy. "We have in our team as full-time executives, people who are responsible for economic affairs of the party and the country," Mpofu said referring to Zanu-PF bigwigs who failed to make it in Mnangagwa's Cabinet who have been redeployed to work for the ruling party on a full-time basis. "We will be addressing issues affecting the operation of our companies. They are not dead, they are there but you know they were also affected by the economic environment that was prevailing before. "It is our intention that we fully resuscitate the companies to make sure that they meet the current trends. We have functional companies albeit with low operational capacity. Comrade (Christopher) Mushowe will be looking into that." Mushowe is one of the ex-ministers reassigned to work full time at the party headquarters to ensure that the party continues to function smoothly as others concentrate on government business. This comes amid reports that the Zanu-PF politburo merely rubber-stamped a proposal by Mnangagwa to allow some senior officials such as former Information minister Mushowe, Mpofu and others who include Simon Khaya Moyo, Zanu-PF legal secretary Paul Mangwana, former Foreign Affairs minister Simbarashe Mumbengegwi, Zimbabwe National Liberation War Veterans Association spokesperson Douglas Mahiya, and youth league deputy secretary Lewis Mathuthu to work full-time at the party, joining national commissar Engelbert Rugeje with full ministerial benefits. Mpofu said: "I had a meeting this morning addressing all those issues and coming up with a work plan to that effect. "I am also setting up a vibrant research and development organ that will act as a think tank to assess the situation on the ground, the economy, the people's livelihoods in the country with a view to submitting to the president for his guidance." Mpofu vehemently rejected accusations that Zanu-PF would milk dry Zimbabwe's parastatals to fund the revival of its business empire. Parastatals are grappling with high overheads, inter-parastatal debts, maladministration, under-capitalisation, corruption and lack of good corporate governance which have negatively impacted on their operations. Mpofu said Zanu-PF has never taken a cent from government coffers to fund its operations. "My brother, we have been accused of all sorts things. I have been in the party for more than 50 years. 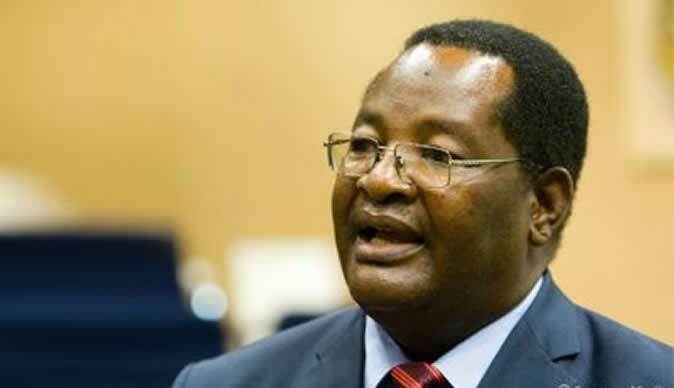 I have been treasurer general of the party and there is no single day I saw money coming from the fiscus to support the operations of the party," Mpofu said matter-of-factly. "I have not seen that unless if they are talking about donations because when we do fundraising, people donate and we don't ask them to stop donating because they are associated with certain institutions. The only funding that we get from government is the political parties funding which is accessed by the opposition as well. If you have got an example of the party using public funds for its operations, please let me have that." Told that former Higher Education minister Jonathan Moyo has admitted he took money from Zimbabwe Manpower Development Fund (Zimdef) to bankroll party activities, Mpofu suggested that the ex-minister- who is now in self-imposed exile – was not telling the truth. Moyo allegedly diverted $430 000 from the fund. "No. That was during my time as treasurer general and I don't remember getting money from Zimdef for the party," Mpofu said. "I am very clear about that. These are individuals who will be doing that in the name of the party but it was never a directive of the party." While the Zimbabwe's Anti-Corruption Commission (Zaac) has alleged Moyo and officials in his erstwhile ministry used money meant for the manpower development to fund personal interests and have to face corruption charges, Moyo has said he used the cash to bankroll the "Million Man March", a massive parade of thousands of party youths in support of former president Robert Mugabe and festivities to celebrate the ousted despot's birthday bash. In an interview with South African Broadcasting Corporation (SABC)'s Foreign Editor Sophie Mokoena in April, Moyo denied having engaged in graft as minister. "What is our own corruption? In my case they say for example that I took $430 000 from Zimdef when they know very well that of all the money in question, which does not even amount to that, about $200 000 went to the ministry's participation in Zimbabwe International Trade Fair (ZTIF) in 2016 and we won," Moyo said. "We became the first ministry to win the top prize since its establishment during the Rhodesia era. "The remainder of that money supported approved Zanu-PF programmes, the other $100 000 went to support a programme designed to bring together government departments, schools and traditional leaders to support Science education in Tsholotsho, one of the most marginalised districts in the country and victim of Gukurahundi atrocities committed by the same cabal. Not a single cent came to me." Asked if he used the money to dispense patronage, Moyo retorted: "When does it become patronage? The fact of the matter is that I was a minister with discretion to decide how to use the funds and there were procedures for using the funds." Mpofu said: "I was minister for 23 years and I have never directed any parastatals under my purview to do that. It will be irregular for a minister to do that because ministers don't control public funds they rely on the accounting officer who is the permanent secretary. I don't remember signing any cheque or getting any money through whatever means, it's about ethics but when people talk about it loosely it is like government is a treasure trove where people just take without conditions."